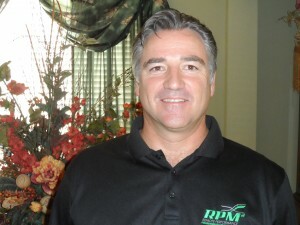 As CEO and inventor of RPM2, Johnny Ross is passionate about improving athletic performance. A former varsity baseball player for Texas Tech University, Mr. Ross holds a Bachelor’s degree in Political Science and a Master of Public Administration in Government and Business Relations. Drawing on his experience as a former medical equipment executive and his personal experience with post-injury rehabilitation and performance, Mr. Ross aspired to improve the way by which athletic performance is monitored with the revolutionary RPM2 system. To effectively measure performance, Mr. Ross developed prototypes with advanced sensors to measure gait, weight distribution, and ultimately, developed the patented technology to reveal bi-lateral deficits. Based on research, Mr. Ross found that his invention would be beneficial to athletes—especially runners and cyclists—in achieving bi-lateral equivalence and thus improving athletic performance. Within the next six weeks, the system will be upgraded (with free upgrades to existing customers) to feature enhanced gait analysis monitoring that will measure step time, ground contact time, and flight time along with determining whether an athlete is mid-foot or heel striker, and the amount of force used to push off from the ball of the foot. In addition to serving as the official footbed partner for USA Triathlon, Johnny Ross and the MedHab team are currently working on developing partnerships with Michael Johnson Performance. The company is also working with the Lead Sport Technologist at the U.S Olympic Committee. Feel free to watch the introductory video below to learn more about Mr. Ross and MedHab. We welcome you to subscribe to our blog by entering your e-mail address in the subscription bar to the right.